Though metal is a worldwide culture, over time certain geographic locations have become famous for specific sub genres. For examples, when Norway is mentioned, the thought immediately goes towards black metal and as far as Finland is concerned, grand and melodic metal is the speciality. Inspite of this, there are some bands that take their style beyond what is norm at their place. 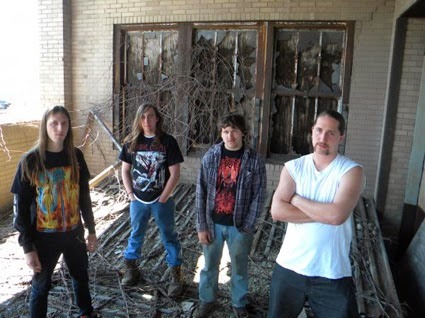 Death metal from New York would typically refer to NYDM styles made famous by bands like Suffocation and Immolation. Yet, Disfigured Dead is a band from New York, who have managed to carve out a new sound for themselves. Disfigured Dead is a death metal band that is based out of Moravia, New York. Having been around for 5 years now, the band recently released their second full length, ‘Relentless’ on 20th May 2013, through Butchered Records. The first full length, ‘Visions of Death’ saw them pay ode to some of the legendary bands of the genre, such as Autopsy and Death. Though one would have expected them to follow the same trend on their second release, the band has come up with something different and fresh. Establishing oneself as a new force within the realm of death metal can be a tough task, as most of the possible variations have been tried and tested already. ‘Relentless’ is a record that proves that though it may be difficult, it is not entirely impossible. The band has managed to achieve this by taking the typical death metal gore and mixing it with semi technical riffs that are short and sweet, with a healthy dose of meaty hooks added to it. The band show that they mean business, as right from the word go, a wall of sound is unleashed in the opening track ‘Punishing Atonement’. The listener is greeted with a gore filled sound that proves memorable and enjoyable. The guitar riffs of Ryan Kratzer and Dave Gruver are rooted somewhere in the space between being simple power chord progressions to being pure technical wizardry. The songs are mid tempo affairs and each song has a certain character to it, that makes them instantly identifiable. Rough and abrasive guitar tones suit the theme of gore that the band tries to portray. This sound is enriched by the bass work which is credited to Nick Suslik. The vocals are rendered by drummer Kyle Kratzer and Dave Gruver joins him on this record. The presence of two vocalists is justified by the variation in their growls. The mix of mid pitch growls and deep gutturals ensure that monotony is not an option. Kyle Kratzer proves his capabilities not only on the vocals but also makes his presence felt on the drums. Though the songs are predominantly mid tempo, there are more than enough drum fills to ensure that the drums are not there to merely keep time. The production style suits the gory atmosphere and the lyrics. 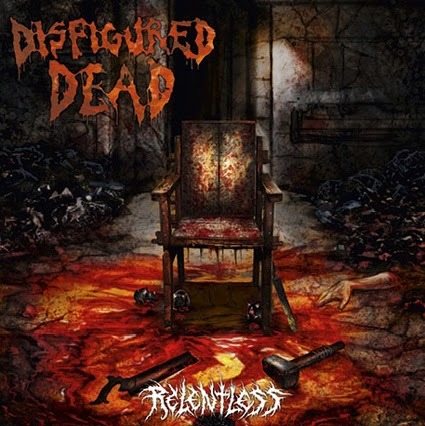 Disfigured Dead manage to break out with a sound that can be credited as their own, in a genre where repetition has become the common trend. This is a solid death metal release for anyone looking for something new to hear.